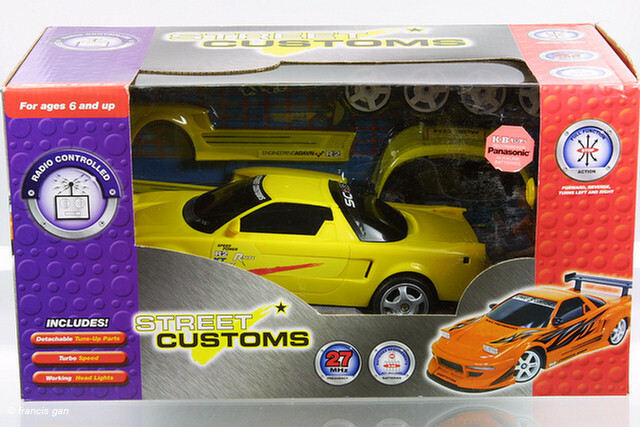 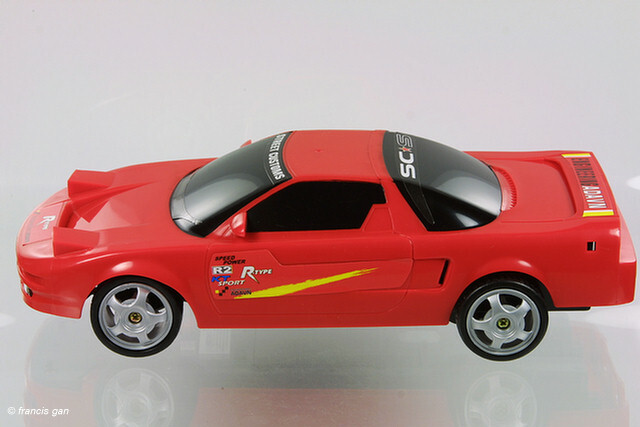 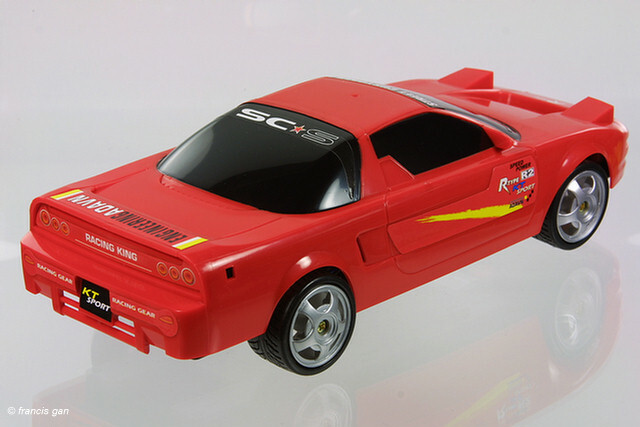 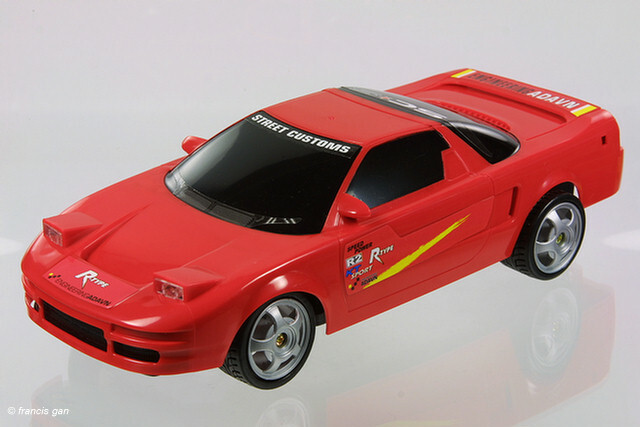 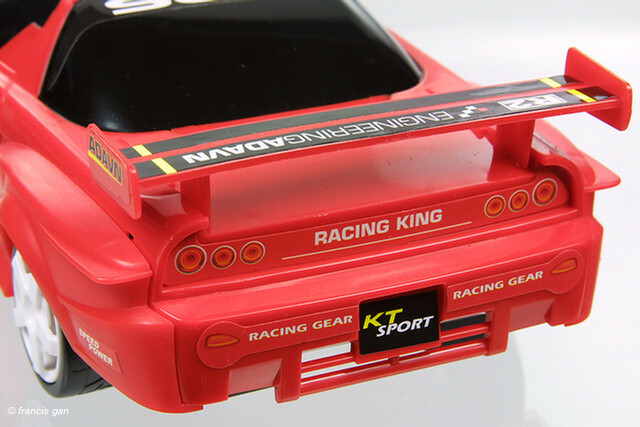 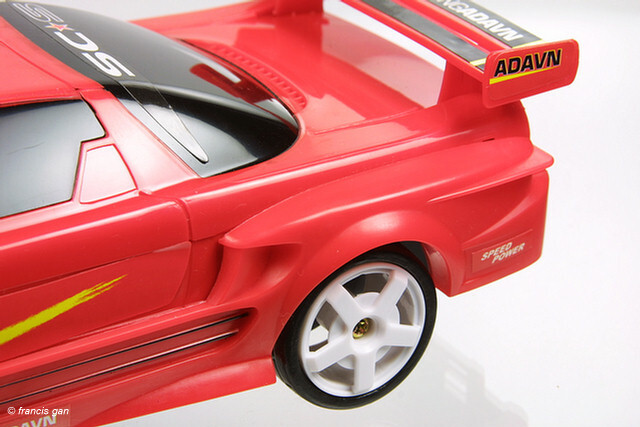 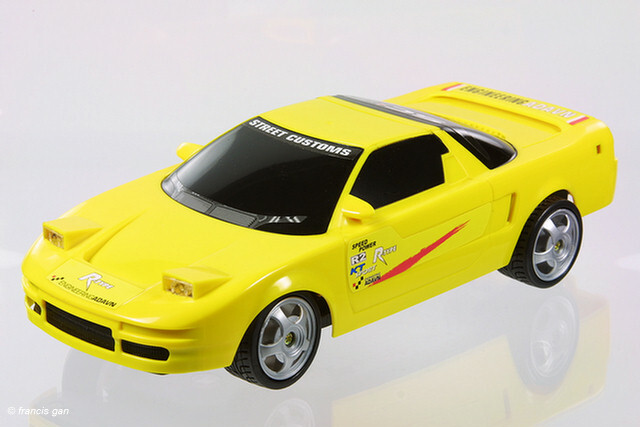 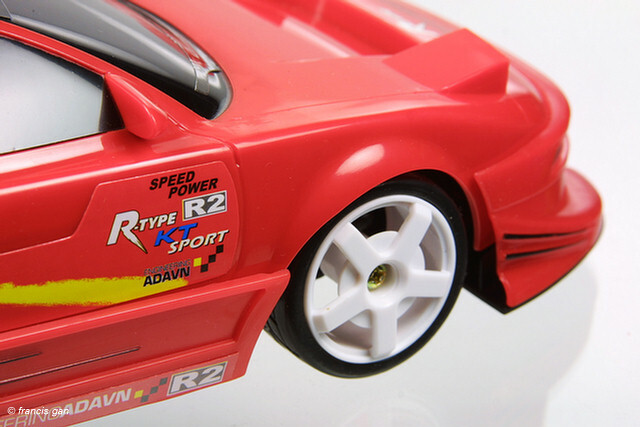 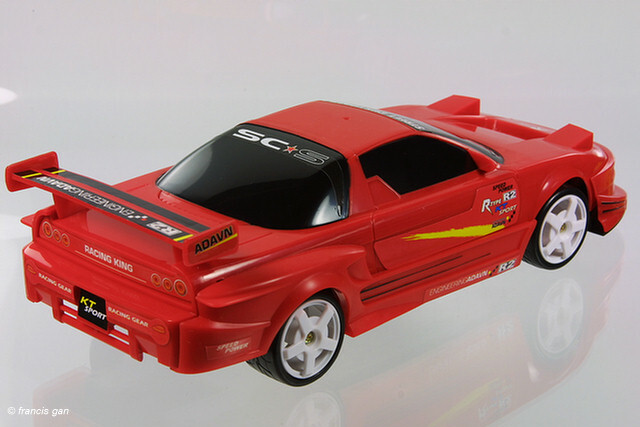 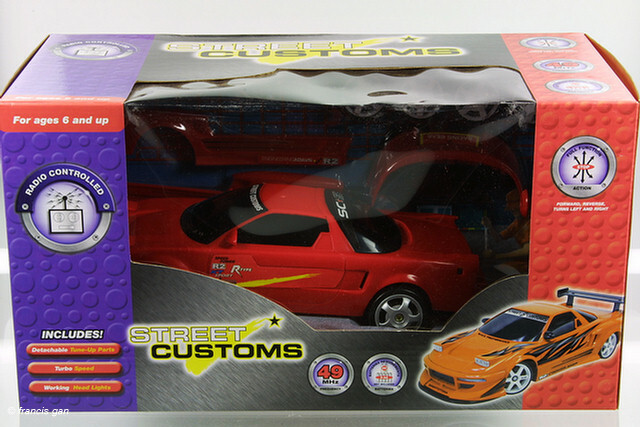 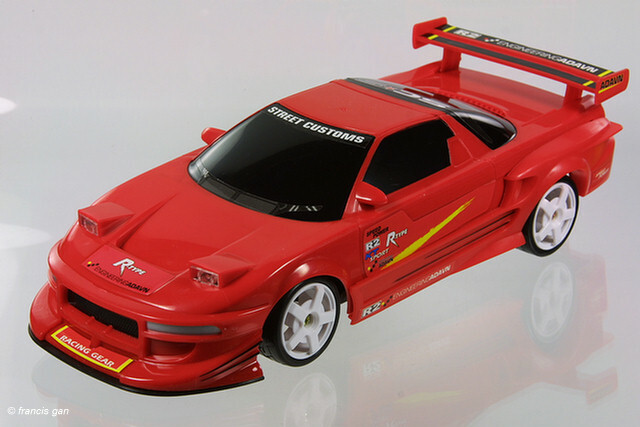 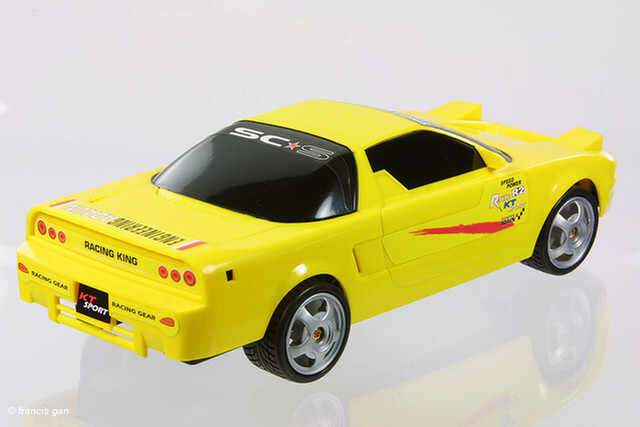 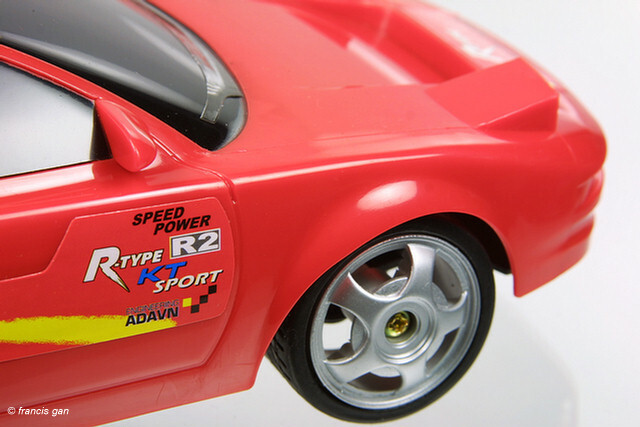 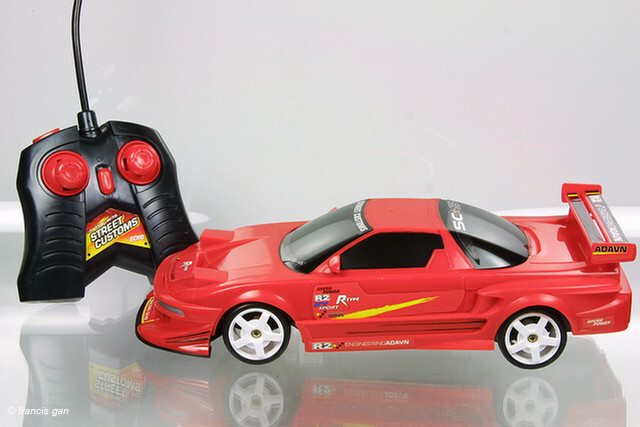 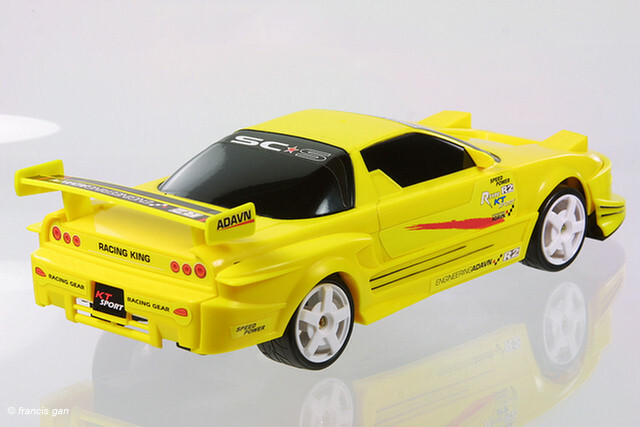 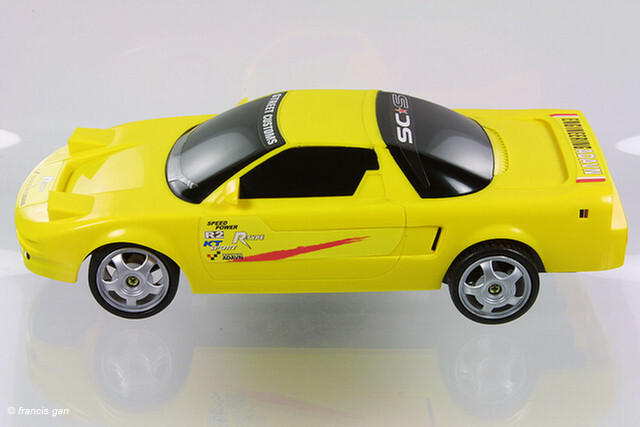 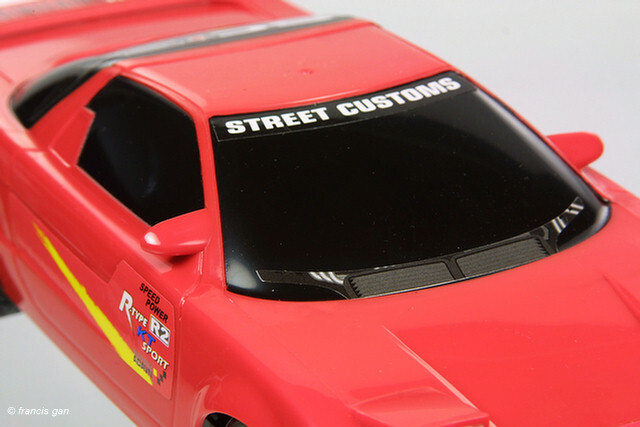 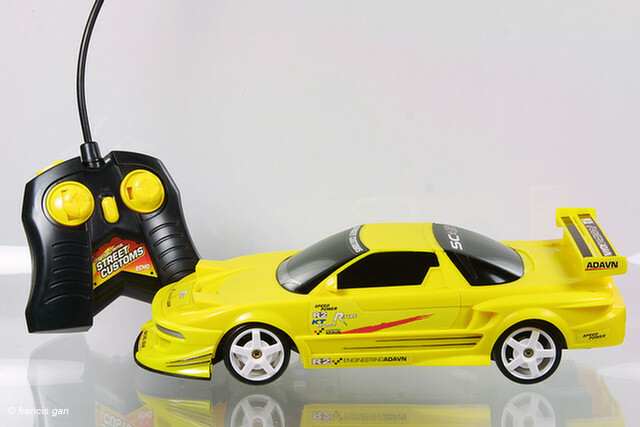 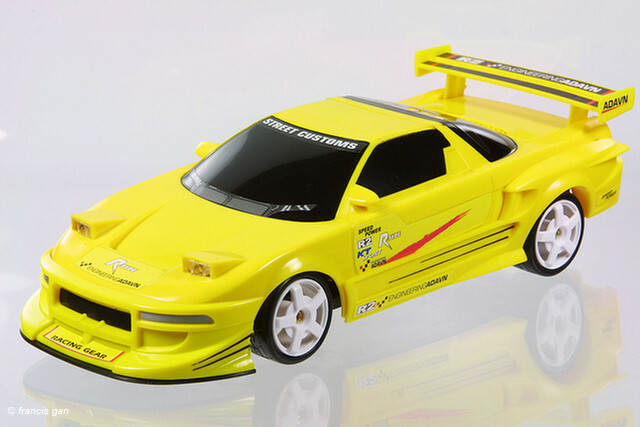 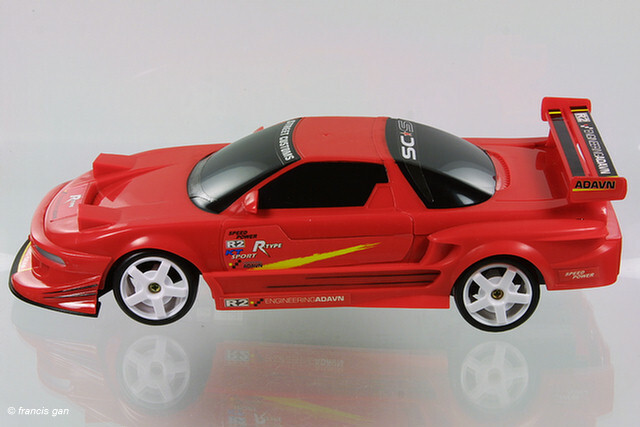 An unlicensed NSX from Kay Bee's store brand of Street Rockets. 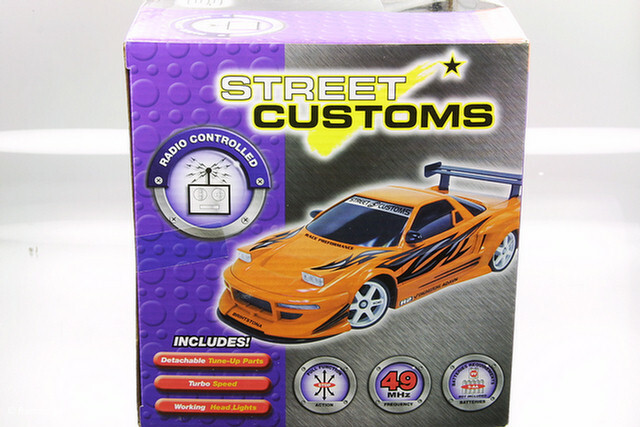 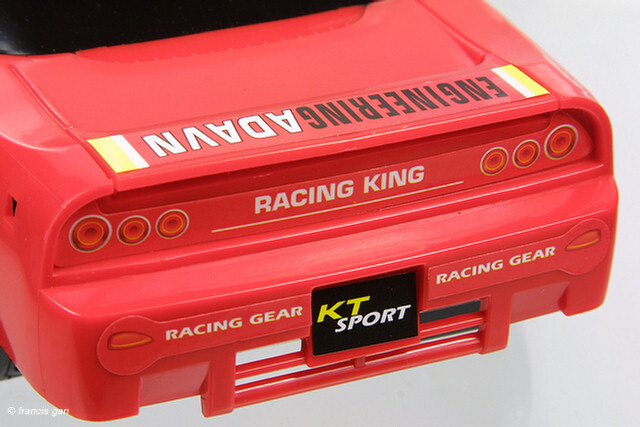 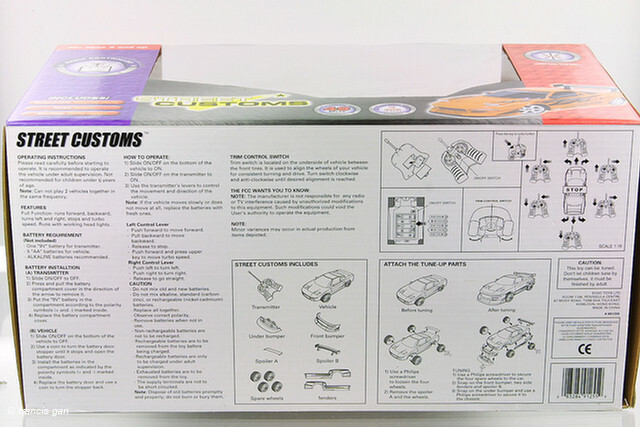 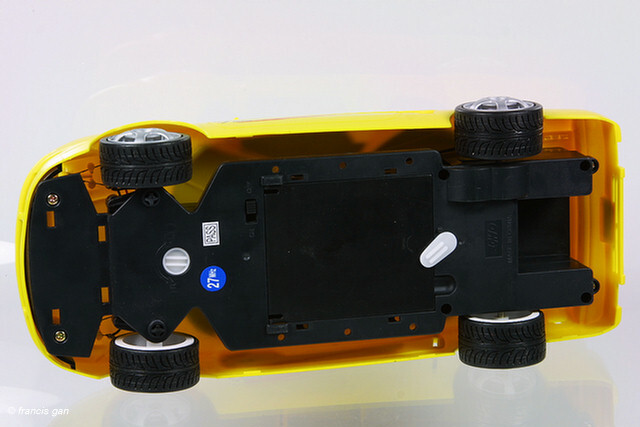 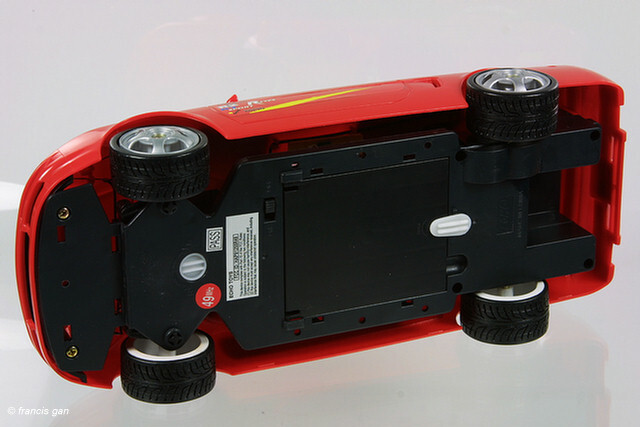 At approximately 1:18 scale, this RC model is modifiable from the almost street form to a include a number of add-on body kit parts - front bumper, side pieces and rear spoiler. 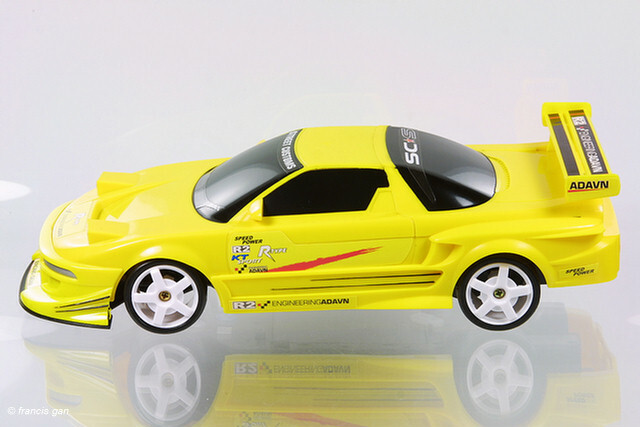 Not to forget, the modified version has white wheels. 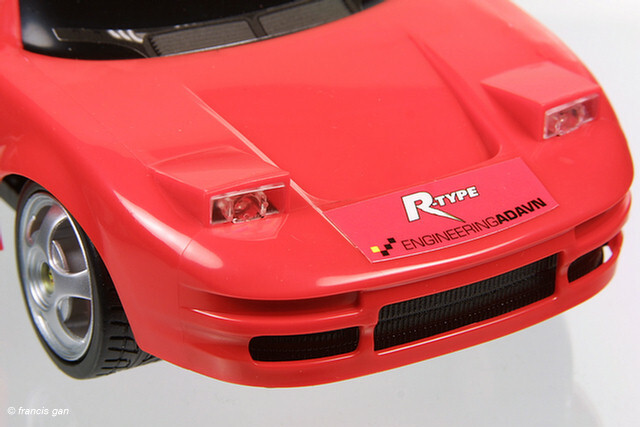 There was a minor variation between the models in that some of them have a screw that attaches the front underbody plate to the body. 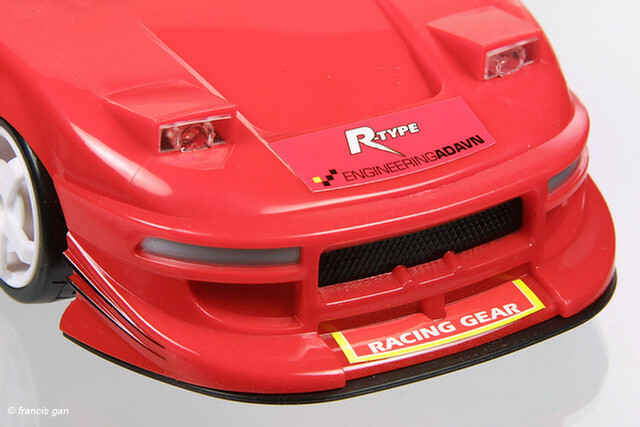 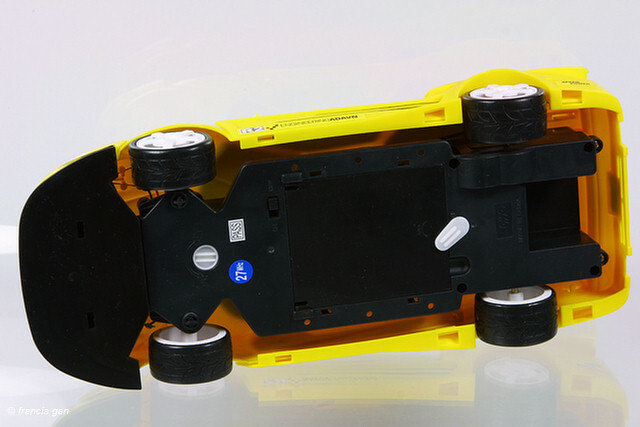 The early versions did not have the screw - probably resulting in the front bumper and plate falling off upon impact. 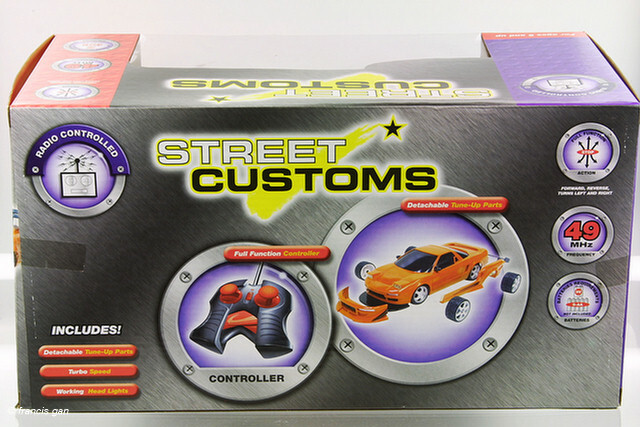 The remote controls have colors coordinated joysticks.